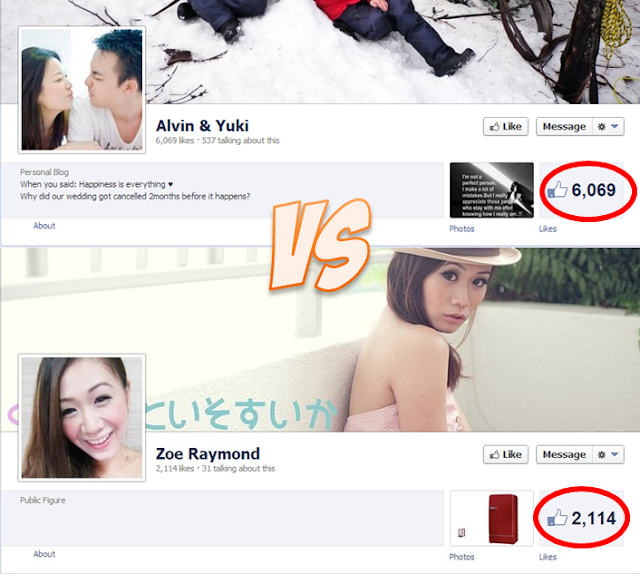 ...and leave a comment under the picture saying something like this, "dont's wasting ur time. 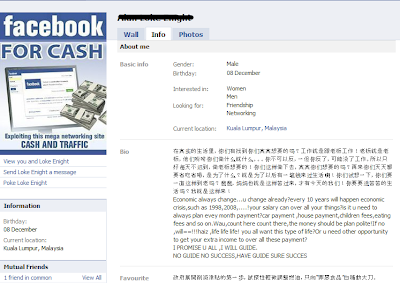 .juz give me a msg to my inbox and i'll tell u how to making money...=) No need to sell any product. No ned to meet anyone. ..People wil come and find us?? How? 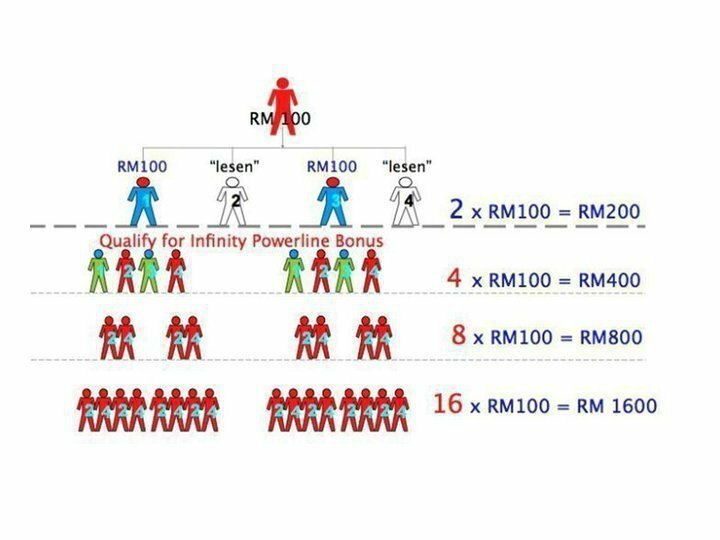 Really can get RM100 or more in a day? 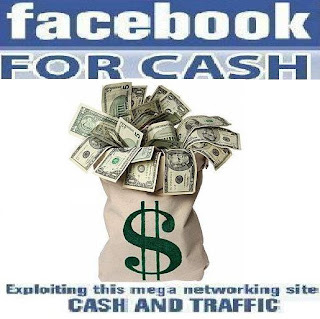 Come, just send a msg to my inbox now , i m looking for friends who r interested to earn more money from facebook"
Of course, normally i would have casually brushed off messages like this as attempts to cheat you out of your money, but out of curiosity, i decided to snoop around to see if an idea like this would still be able to con people and if it's really true. To my surprise, despite how many news reports of scams going on and how people are cheated out of their money because of all these get rich quick scams, there are a lot who actually believes in this sort of thing, judging from the comments on the photos. Looks like as long as greed is still a human trait, there will still be people falling for these scams. So i decided i would do everybody a favor and check out once and for all if this type of program is legitimate, in case someone decides to Google it. The profile sure smells fishy. On top of that, he has no wall posts of any sort, and almost all of his activities are revolved around tagging people to his get rich through Facebook photos and asking people to message him about this business he is talking about. And why is it a problem? You see, this profile is most probably created just for the sake of cheating all the unsuspecting people into parting away with their money. There's no other info about his background or sort and once people realized that this is a hoax, he would have deleted his account and ran. And the people who are cheated have no way to detect who he is in real life, hence no way to get back your money. Bad English aside, do you think what he said can be trusted? 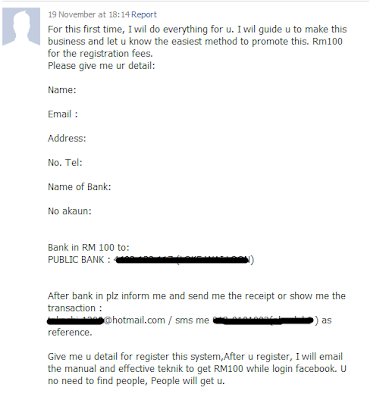 He gave no detailed explanation of how the things are gonna work out and just asked me to transfer the RM100 to a Public Bank account supposedly name Alan Loke Wai Loon. And furthermore, he said that he would help me to take care of everything and i have to do nothing. 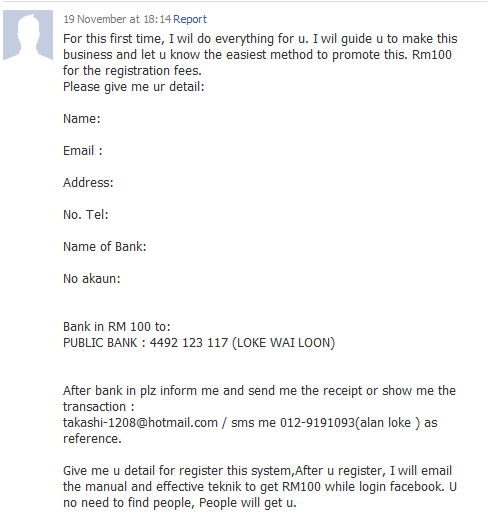 All i need to do is to give him RM100 and all my dreams will come true. Really a dream come true, eh? I would have continued to play the game if i have RM100 to spare but i don't. 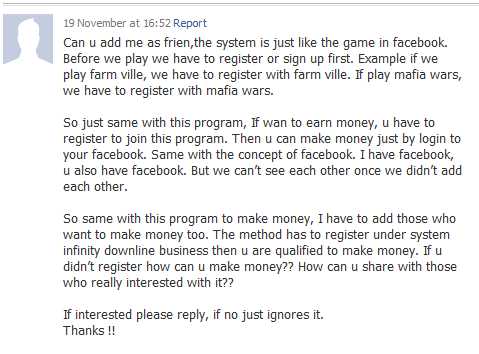 So i decided to snoop around his account and the Infinity Downline business thing to see how legitimate his claims are. 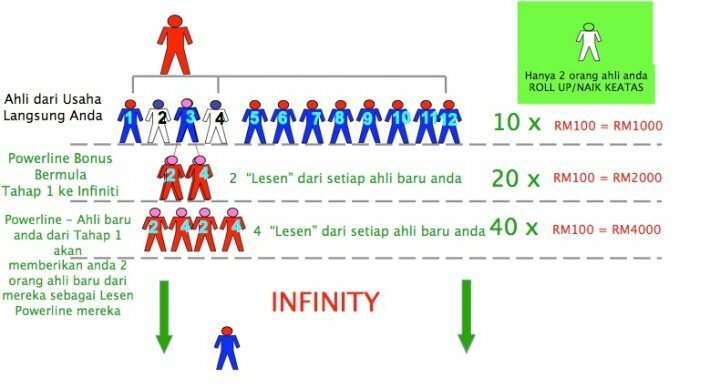 It's even worse than a MLM (Multi Level Marketing) business like Amway if you study the pictures carefully. There's no product involved and all your money comes from the members beneath you. Of course, if you happen to be on top of the pyramid, there's a lot of money to earn but if you're in the bottom, well, good luck. And as we all know, pyramid schemes are scams in general. 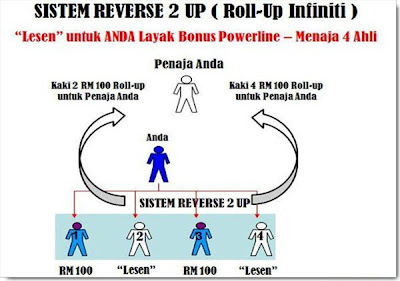 Sooner or later the system will die once the members reach saturation. There's no way you can continue earning money for the rest of your life. Not to mention friends that will come to kill you if you get them to join the scheme. Googling Infinity Downline on the other hand, returned a mixed result. It's a legitimate MLM business alright, much like Amway with products to sell and stuff. But the fishy thing is that it has no one single negative review article about it on the web. 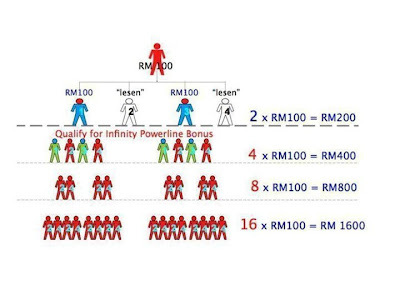 The entire internet is flooded with so called "good reviews" about infinity downline. 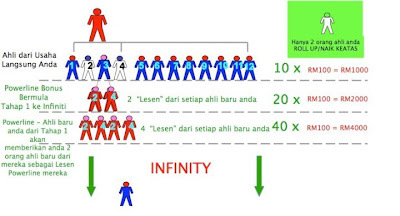 Of course, one reason might be Infinity Downline is really that good or the other good be that the people at Infinity Downline decided to flood the internet with positive views about it to filter out the negative ones. Even successful companies like Microsoft and Facebook have bad reviews of them all over the internet. But of course, that is just my guess. I wouldn't touch any MLM anyway in my entire life and we're talking about the Facebook for money scheme here. 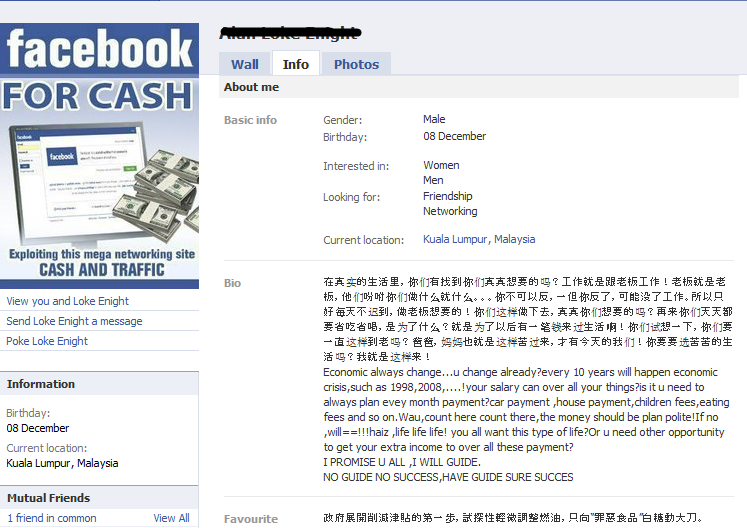 My verdict would be that this entire Facebook for money thing sure smells a lot like a hoax. The fake profile and the lack of information is more than a warning sign for you to stay away. And like the old saying goes, "There's no free lunch in this world". When something is too good to be true, it probably is. Think twice before parting away with your money over such risky claims. 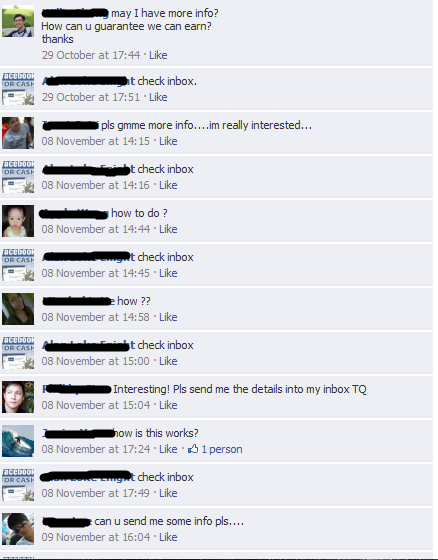 It's funny how he replied check inbox to all the questions lol.